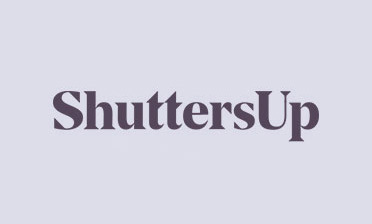 We are often asked to fit our shutters throughout homes, rather than just in a single room. 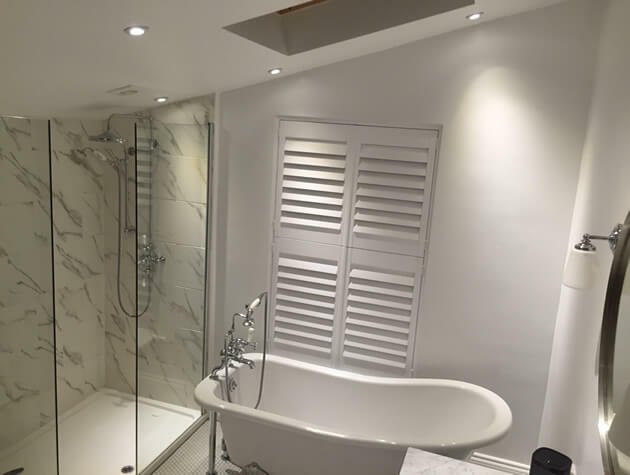 This customer in our local area of Bromley, Kent required a matching style of shutters throughout the bedroom, bathroom and living room of the property. 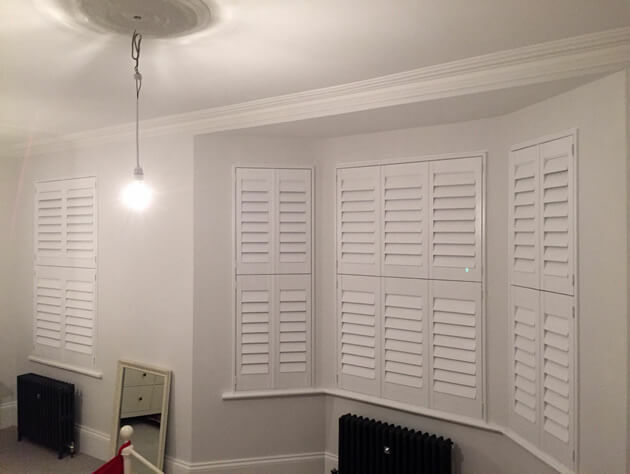 They were keen to have shutters fitted not only for their great aesthetics, but also for their superb insulation properties in the colder months. We find that many clients that come to us in around this time of the year are looking for a window solution that will not only keep the home warmer throughout the winter, but help drive down energy usage and costs. 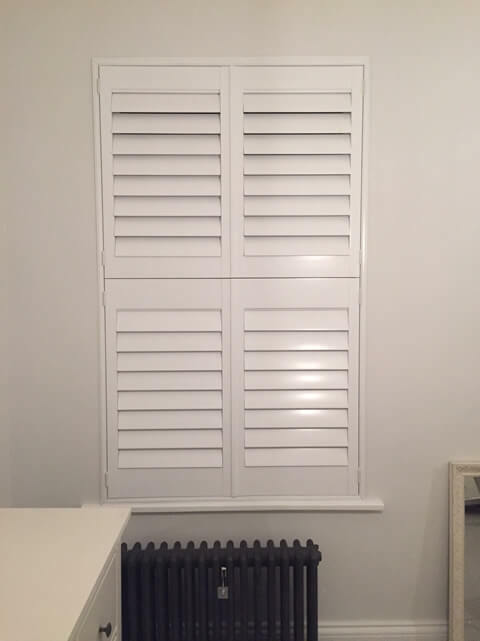 Our shutters are made using a range of hardwoods which acts as a natural barrier between your windows and the rooms helping drive down heat loss even further! We used Tier on Tier shutters throughout the property, allowing for great flexibility when it comes to privacy and lighting. Not only can the shutters be adjusted and opened normally, but the tops and bottoms can be closed or adjusted separately. This style is very popular and allows for great privacy below as well as maximum light entry through the top sections. 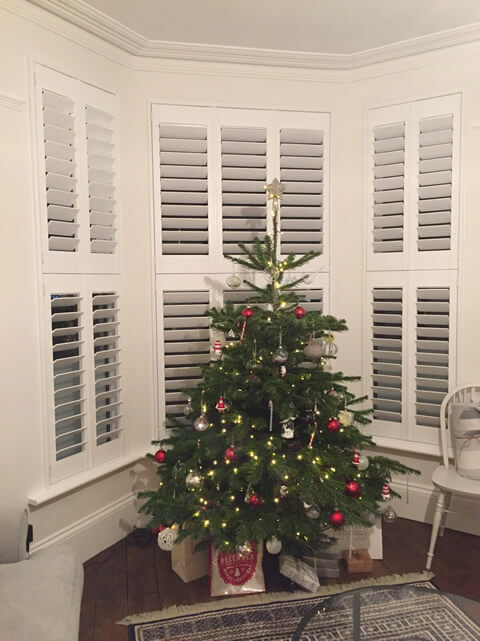 We created the shutters using thick 89mm louvres and a hidden tilt rod system which creates a clean and minimalistic look throughout the home. The customer can still quickly and easily adjust the louvres on each shutter panel using touch, rather than a rod. 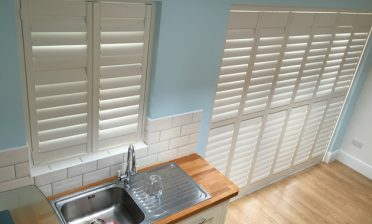 We installed the shutters using a 4 sided insert L frame and finished them all in pure white with matching hinges in all rooms. The customer was very happy with the job completed in time for Christmas!